The AcctVantage ERP 2019 series is built on an improved version of the 4D database. This means that in order to upgrade to AV 2019, you will need to procure a new set of 4D licenses. If you are enrolled in the 4D Maintenance program, then this is a totally free upgrade for you. If you are not enrolled in 4D Maintenance, then there will be a cost. Regardless of whether or not you are enrolled in 4D's Maintenance, you can find out by following these instructions. Click the login link and enter your credentials (note: AcctVantage Support does not keep record of these credentials. This is your account.) If you do not know your password, you can enter the email address associated with your account and use the Forgot Password link. Regardless of your 4D Maintenance status, click the Upgrade Under Maintenance link in the right-hand sidebar. 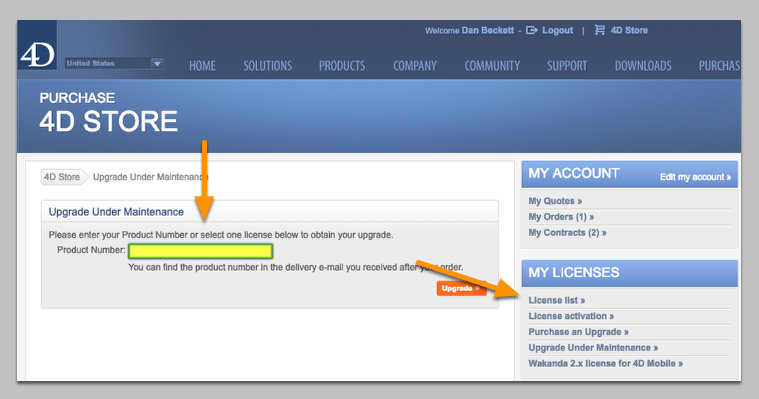 After you click Upgrade Under Maintenance, you will be prompted to enter your Product Number. 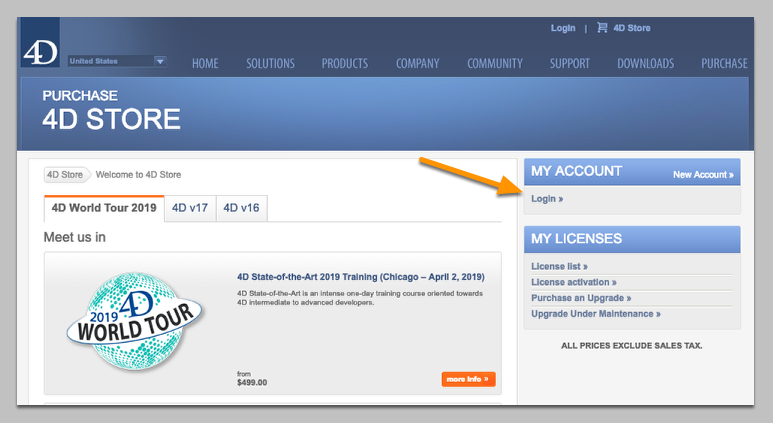 If you click the link for License list you can find your current Product ID under v15. You do not need to download anything from 4D's website! All downloads come from the AcctVantage Portal website. You only need to get licenses for 4D v17 during this part of the process. If you ARE in the 4D Maintenance Program, then when you check out with the 4D v17 Licenses, the price should be $0.00. If you ARE NOT in the 4D Maintenance Program, then when you check out with the 4D v17 Licenses, the price will be greater than $0.00. 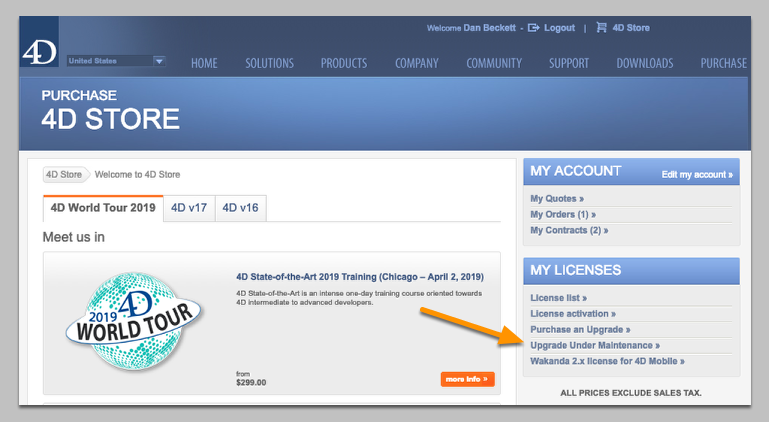 After you check out, you will be sent an email from 4D containing your licenses. Keep this email handy for the AV 2019 install process. You will need to enter your licenses on the new version of AV Server 2019.